Let’s get your guests talking! Volara provides voice-based guest engagement software running on in-room hardware like the Amazon Echo. Customized to your property, Volara knows how to get your guests talking. Provide guest-centric experiences that highlight your unique offerings in the most natural and memorable way - through conversation. Facilitate efficient guest services - from housekeeping to valet to concierge - freeing up your staff for interactions that require the human touch. Use contextual suggestions to subtly drive guests toward high margin property and partner services and facilities. "ACME is always looking for ways to stay ahead of the curve by bringing new technologies to our guests to enhance their stay. We knew Volara’s customized voice-based guest engagement solution on the Amazon Echo would be a perfect fit for our guests, acting as a high-tech personal assistant for a number of hotel services and information on demand." 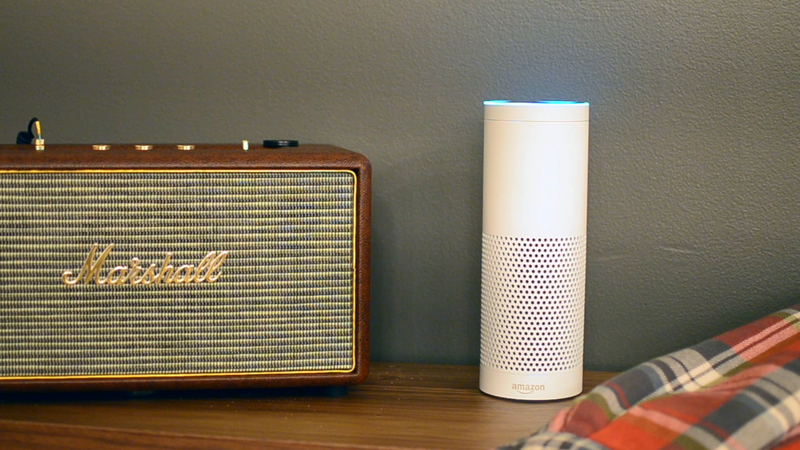 "Volara's voice-based guest engagement solution on the Amazon Echo Dot was simple to deploy and personalize for our hotel. We're serving our guests more efficiently while creating unique experiences that our guests will always remember and associate with the Alexis." Guests simply ask their rooms for things like more towels or housekeeping services and Volara efficiently routes the request.